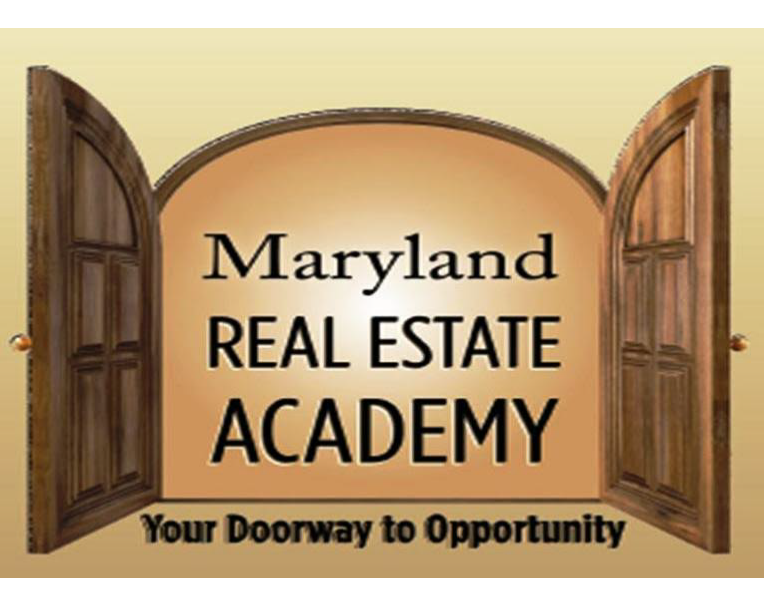 The Maryland Real Estate Academy is owned by Deborah SeBour of Real Estate Investments LLC. All ownership interest belongs to Deborah SeBour. 60 clock hours of instruction are required for the Principles and Practices of Real Estate for Salespersons program in order to prepare for the Maryland Real Estate Examination. All classes are comprised of lecture. There are no requirements for lab, clinical or externship. Applicant must be at least 18 years of age, a valid drivers license or passport must be presented and show proof of a high school diploma or equivalent. Criminal convictions may affect a students ability to be licensed, certified or registered. $10.00 for use of a credit card. There is a Seven-Day (7) Cancellation Period. All fees paid by a student shall be refunded if the student chooses not to enroll in or to withdraw from a school within seven (7) calendar days after having signed a contract. If the school closes or discontinues the program, the student shall be issued a full refund within thirty (30) days. If the student chooses not to enroll after the seven (7)day cancellation period, but before the first day of instruction, the school may retain the administrative fee. The date of withdraw or termination is the last date of attendance. Textbooks and materials issued to the student are non-refundable. If a student withdraws and later wishes to re-enroll a new administrative fee shall be charged. If after an official leave of absence , a student does not return to the program, a refund shall be based on date of withdraw and paid within sixty (60) days from last schedule day of the leave of absence. Classes will be offered Monday and Wednesday evening, 6:00 pm – 9:00 pm. The total program consists of six (6) hours per week for ten (10) weeks for a total of 60 clock hours. The Maryland Real Estate Academy will adhere to a calendar of holidays as follows: New Years Day, Memorial Day, July 4th, Labor Day, Thanksgiving and Christmas. The school will follow the Baltimore County School closing schedule for inclement weather. Students will be notified via email if school is to be closed for any reason and the scheduled makeup date will be included in that email. 60 hours of classroom lecture and all program work must be completed. A midterm and final exam must be passed with a grade of no less than 75%. All payments for any fees are due the first night of class. The school does not grant any credit for previous training or experience and under no circumstance will credit be given. State regulations require students to complete a minimum of 60 clock hours of classroom instruction. All clock hours must be made up in the next scheduled class covering that specific material. This policy is subject to change per the Instructor. The instructor to student ratio will be 1 to 20. Successful completion requires students to attend the session on Agency and that on Ethics. A student who does not complete the 60 hours of classroom instruction, pass the midterm exam with a minimum score of 75% and pass the final exam with a minimum score of 75% will not be eligible to receive a certificate of completion and, therefore, will not be eligible to register and sit for the state licensing exam. Cell phones must be turned off during class. No photographs may be taken of exams. Doors close at 6:05, after that time you will not be permitted entrance. You will need to make up those clock hours in the next session. Chronic lateness will result in termination. If you leave before the class ends you will not receive clock hours for that class. Midterm tests are given with one makeup test. You must sit for the 1st midterm exam and if you fail, you will be given one opportunity to take a second alternate exam. If you fail the alternate midterm, you will be terminated. Anyone who does not attend the first mid term or final exam will automatically fail the class. A student may not make up more than six clock hours during the program. The missed six clock hours must be made up before the end of their current session. Subject to Instructor approval. If a student misses another clock hour after the allowed six clock hours they will be dismissed. Students who do not successfully complete the failed midterm or final exams after two attempts will be terminated and be required to re-enroll at the student’s own expense. A student absent for more than 6 hours of classroom instruction or two consecutive scheduled classes, will be placed on academic probation for the remainder of the program. A student must retake a failed mid term exam within 1 week of failed exam and retake a failed final exam within 1 week of the scheduled end date of the class in which the student is currently enrolled. A student may be granted a one-time leave of absence for a maximum of 60 days upon written notification to the Maryland Real Estate Academy within seven (7) days of the last day of class attended. The request for a leave of absence must be written, dated and signed by the student. An approved leave of absence entitles the student to resume instruction and the student will not incur additional charges as related to the official leave of absence. A student not returning for instruction at the end of the approved leave of absence shall be classified as withdrawn and must re-enroll at their own expense. All documentation generated by student enrollment becomes a part of the student’s record and are maintained as long as the school exists. Program work will be evaluated every two (2) weeks and reported in writing to the students. Class grades are a combination of homework, quizzes, pop quizzes, and class participation. A permanent record of attendance and academic achievement for each student shall be maintained and updated at every evaluation. Students who maintain a cumulative grade below 70 for more than four (4) weeks shall be terminated. 60 clock hours of classroom lecture and all program work must be completed. The student must complete all of the required time of three clock hours of instruction per day, two days per week for a total of ten weeks. A midterm and final exam must be passed with a grade of no less than 75% and a cumulative class grade of 75%. All payments for any fees are due the first night of class. The school does not grant any credit for previous training or experience and under no circumstance will credit be given. Students are required to act in a manner to reflect credit to themselves, the real estate profession and the Maryland Real Estate Academy. Students are expected to have the highest level of ethical standards and conduct themselves accordingly. Children, guests and pets are not permitted during program hours. Maryland Real Estate Academy reserves the right to dismiss any student who fails to adhere to and observe school policies and procedures, is involved in illegal or unethical practices or who does not meet the standards of the school’s academic and attendance requirements. Students are encouraged to discuss any issues and concerns regarding the program with the class instructor. If the student is unable to resolve the issue with the Instructor’s assistance they may contact the school owner, Deborah SeBour at 410-242-0220. If the student is still unsatisfied, they may appeal the school’s decision in writing to the Secretary of Higher Education at the Maryland Higher Education Commission. Any student or prospective student may obtain from the Maryland Higher Education Commission information regarding the performance of this program. Information may include, but not be limited to enrollment, completion rate, placement rate and pass rate of students on any licensure requirements. Please be aware that you may be contacted by the Broker at RE/MAX New Beginnings about career opportunities in real estate using the information provided on your application or from your phone call. Program enrollment does not guarantee job placement. In Maryland you are required by law to take a class entitled “Principles and Practices of Real Estate”. 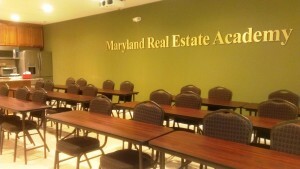 This class is given by The Maryland Real Estate Academy. This class covers all technical aspects of real estate – law, math and theory. Maryland Real Estate Academy offers the required Principles and Practices of Real Estate class in various time periods to suit your busy schedule. The class covers all the material required by the State of Maryland, as well as all the information you need to study for the licensing examination. It is highly recommended you take an exam prep class before the state licensing examination. Once you pass the Principles and Practices of Real Estate for Salespersons Program and the Maryland Licensing examination, you must affiliate with a real estate brokerage in order to have your license activated. If you have any questions please feel free to contact our Broker at 410-242-0220. Any student or prospective student may obtain from the Maryland Higher Education Commission information regarding the performance of this program. Information may include but not be limited to enrollment, completion rate, placement rate and pass rate of students on any licensure requirements. Please be aware that you may be contacted by the Broker at RE/MAX New Beginnings about career opportunities in real estate using the information provided on your application or from your phone call. Course enrollment does not guarantee job placement.